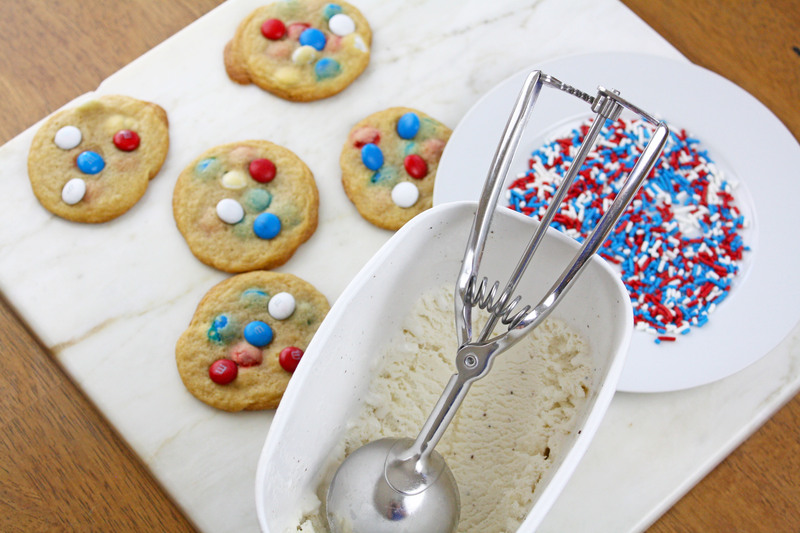 Grease the cookie pan and set aside. In a medium bowl, cream together butter, sugar, eggs and vanilla extract until smooth and creamy. Add the baking soda and mix. 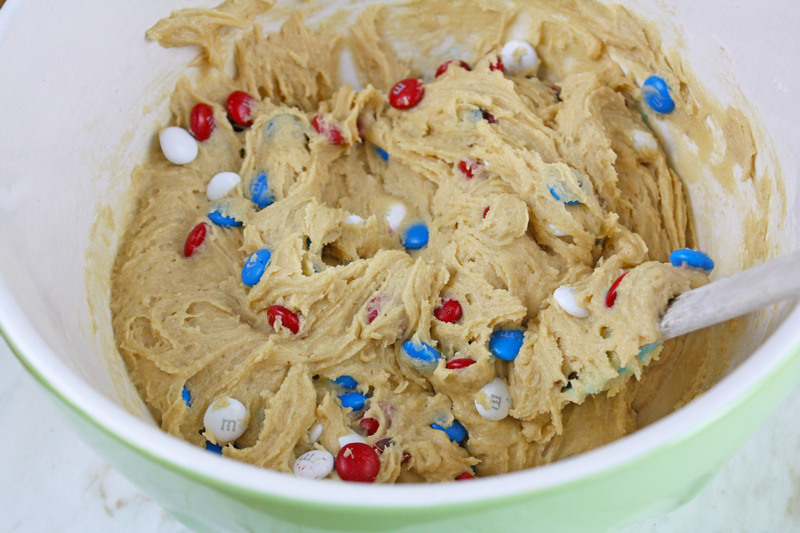 Gradually add the flour in 2-3 additions until completely combined. 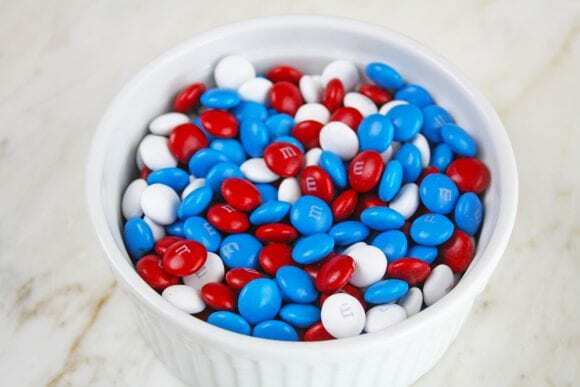 Fold in the red, white and blue M&M’s. 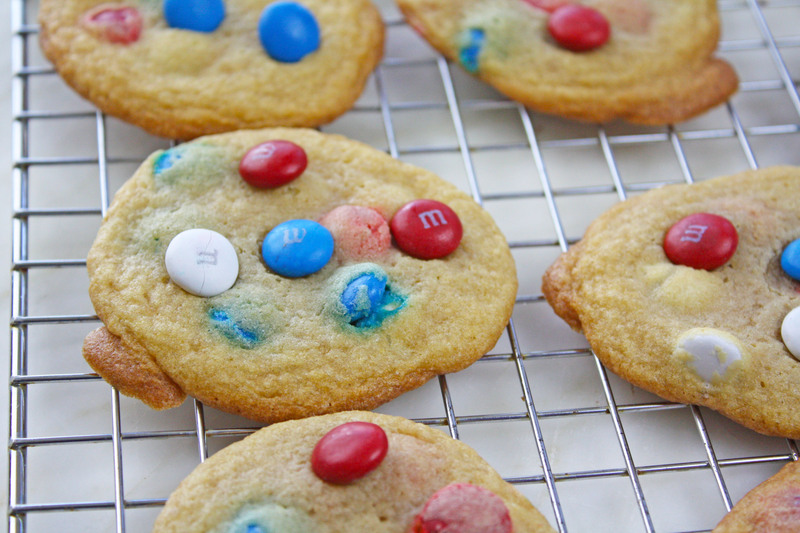 Tip: Keep the M&M’s in the fridge to chill before adding them to the cookie dough. 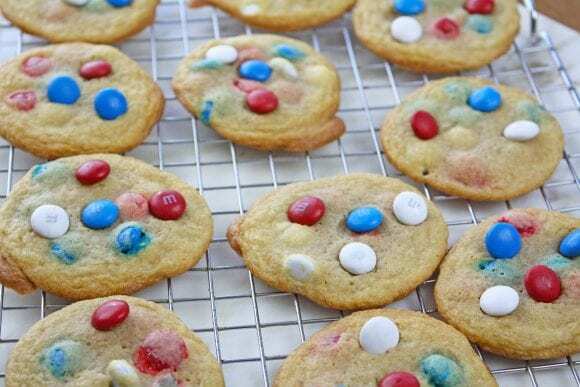 This will help prevent the colors from the candy to melt into the cookie dough while you are folding them in. Using a tablespoon, scoop out the cookie dough and place on greased baking sheet. Bake the cookies at 375 ℉ for 8 minutes. Hint: Set aside some of the red, white and blue M&M’s and press them into the tops of the warm cookies for more vibrant colors! 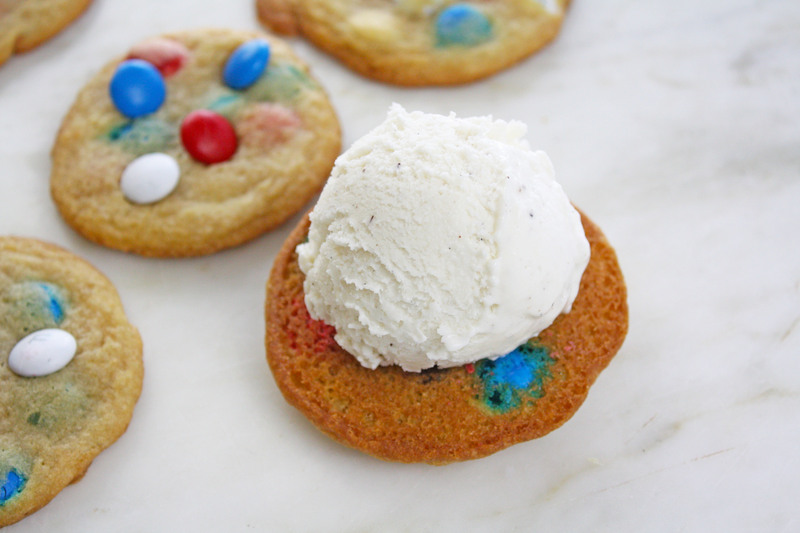 Once cookies have cooled, scoop one scoop vanilla ice cream onto the bottom side of one cookie. Use your finger or spoon to press down and spread out the ice cream over cookie base. 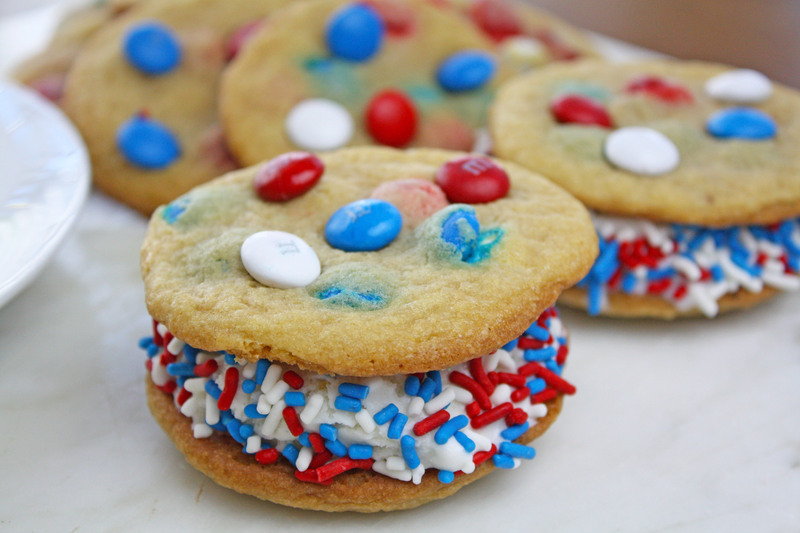 Add another cookie on top to complete the sandwich. 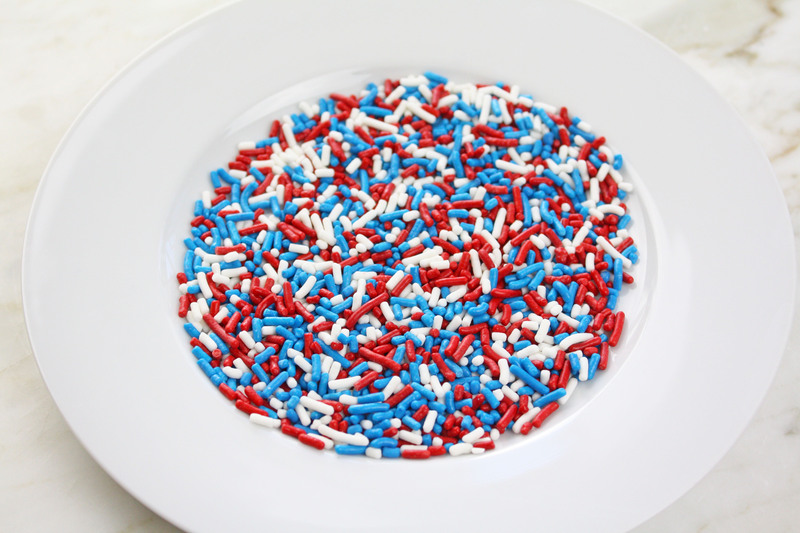 Rotate the cookie in your hand and add red, white and blue sprinkles to the ice cream in the center. 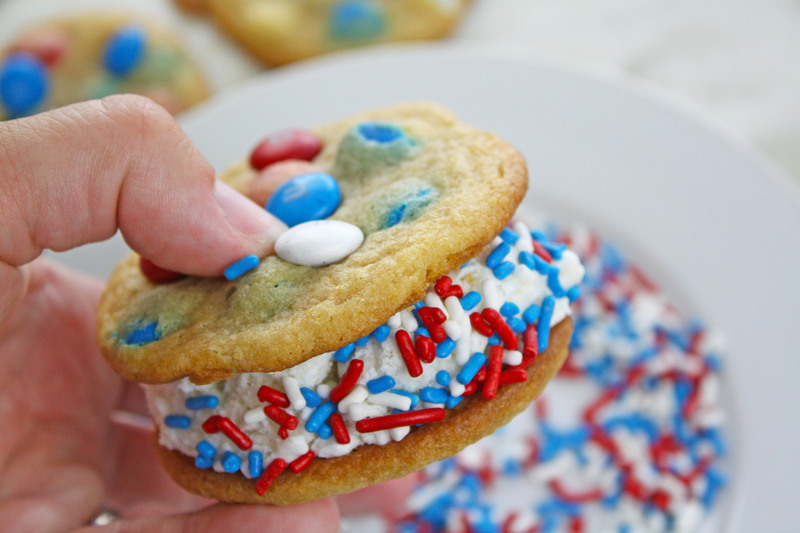 Freeze the cookie sandwiches for 15 minutes. Once the sandwiches have frozen you can store them in a freezer gallon bag. 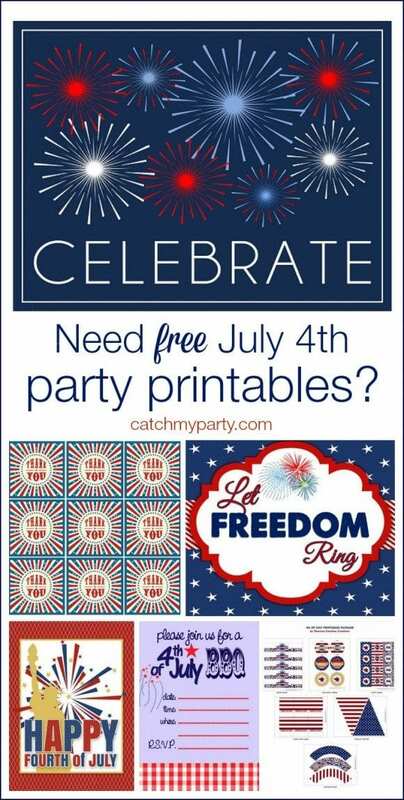 Enjoy and happy July 4th!